* * * * * * * * * * * * * * * * * * * * * * *FUZZBOX – SATURDAY 1st SEPTEMBER @ T’ FLEECE- FREE! 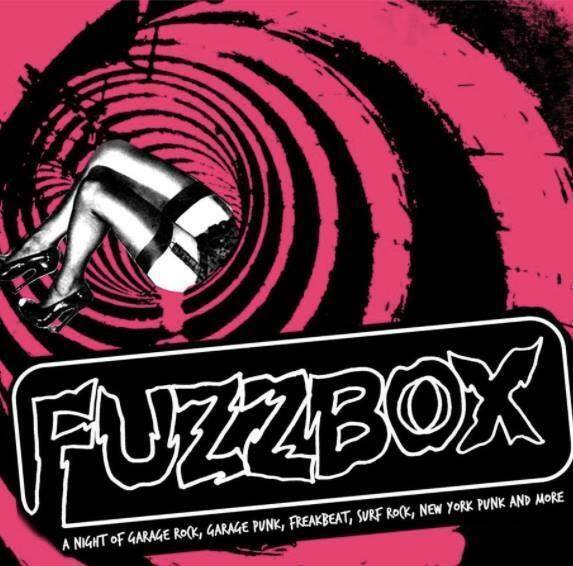 Fuzzbox is our garage, punky, psychey surf night of whacked out freaky beated awesomeness to twist your tiny minds. Starring joint headliners and Speedowax Label and split 45′ mates Diablofurs (Notts) & Deadcuts all the way from that London! You can buy that split single here! Featuring Mark Keds (Senseless Things/Co-writer of The Libertines “Can’t Stand Me Now”), Jerome Alexandre (The Skuzzies/Sylvain Sylvain),Aaron Scars (Olympus Mons) and Perry Melius (Tricky/African Head Charge).Formed on the first full moon of 2012 Keds and Alexandre formed Deadcuts – a mystical union of street poetry and esoteric soundscapes. The pair sat in Nina Antonia’s front room going through Jerome’s record collection listening from artists diverse as Public Image Limited,Killing Joke, Pyschedelic Furs, Siouxsie and The Banshees, Early Cure, Chet Baker, Sly and the Family Stone, Charles Manson,Scott Walker , Pyschic Tv , Odd Future , Bobby Beausoliel, Gravediggaz and Death in June. “ If Kevin Shields ( My Bloody Valentine ) had been born behind a bin in Victorian London, perhaps Loveless may have sounded a bit more like this.They’re a cult, summoning the occult, begging for flesh, blood, and hellfire; and these songs are their calling chant. I mean, should we expect any less from a band who can count Fat White Family, Sebadoh, Sleaford Mods, and Pete Doherty as touring pals? What with so much of rock music cleaning up and seeing the light, I think we could do with a few more bands oozing with dirtyness and darkness like Deadcuts. Their next single called *Single/The Less i Want The Less i Need* a split with Nottingham’s Diablo Furs is released on Speedowax on 29.06.2018 and the band embark on a full UK tour in September 2018 in support of current LP Hit On All Sixess.